Karina's Kreations: Merry Mice Stamp Set of the Month! 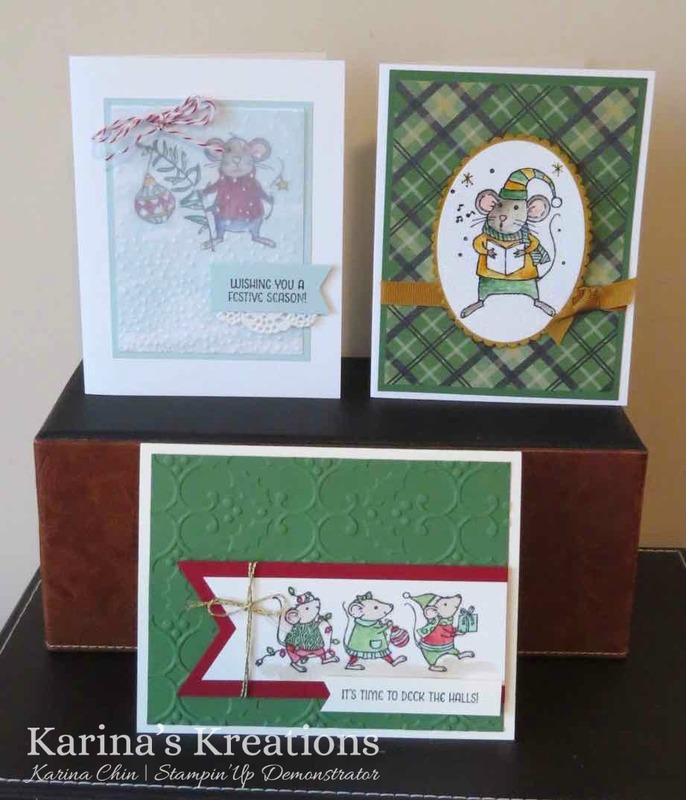 Merry Mice Stamp Set of the Month! Do you love to stamp but can't find the time to attend a class? I run a class in the mail called stamp set of the month. You receive a stamp set or similar product value of your choice, three hand stamped cards and the instructions to make them. One card has a technique and another card has a fancy fold inside. The cost is $30.95 a month. This month the stamp set is Merry Mice. Email me at kchin2@telus.net if you would like this month's stamp set and cards.